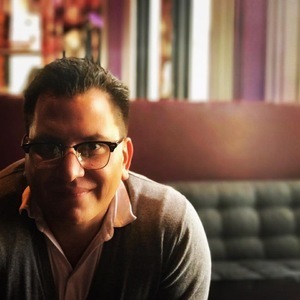 My guest is Jared Ayers pastor of Liberti Church in Center City Philadelphia. We discuss the lectionary passages for the Seventeenth Sunday after Pentecost (A): Exodus 20:1-4; 7-9, 12-20, Philippians 3:4b-14 and Matthew 21:33-46. My guest is Lauren R.E. Larkin. She's a priest and a podcaster. We discuss the lectionary passages for the Sixteenth Sunday after Pentecost (A): Exodus 16:2-15, Philippians 1:21-30 and Matthew 20:1-16. My guest is Greg Strawbridge, CREC pastor, podcaster and author. We discuss the lectionary passages for the Ninth Sunday after Pentecost (A): Exodus 14:19-21, Romans 14:1-12 and Matthew 18:21-35. My guest is Heidi Hankel. She's the pastor of the Bethesda Presbyterian Church in Philadelphia, PA. We discuss the lectionary texts for the Thirteenth Sunday after Pentecost (A): Exodus 3:1-5, Romans 12:9-21 and Matthew 16:21-28. My guest is Ben Madison. He's the rector of Holy Trinity Episcopal Church in Wenonah, NJ. We discuss the lectionary texts for the Eleventh Sunday after Pentecost (A): Exodus 1:8-2:10, Romans 12:1-8 and Matthew 16:13-20. Episode 5: Grace Goes To The Dogs? My guest is Ahnna Lise Stevens-Jennings. She is the Director of Youth Ministries at Aldersgate United Methodist Church in Alexandria, Virginia, where she and her husband Garth live. We discuss the lectionary texts for the Eleventh Sunday after Pentecost (A): Genesis 45:1-15, Romans 11:1-2a, 29-32 and Matthew 15:21-28. My guest is Bill Borror. He's the co-host of the New Persuasive Words podcast. He's also a pastor and church leadership consultant. We discuss the lectionary texts for the Tenth Sunday after Pentecost (A): Genesis 37:1-4, 12-28; Romans 10:5-15 and Matthew 14:22-33. My guest is Charles Wiley, Coordinator of the Office of Theology and Worship for the Presbyterian Church (U.S.A.). We discuss the lectionary passages for the Eighth Sunday after Pentecost (A): Genesis 29:15-28, Romans 8:26-39 and Matthew 13:31-33, 44-52. 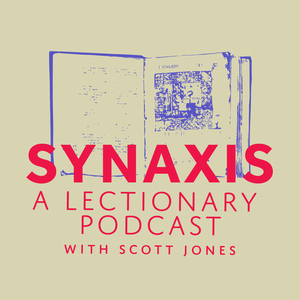 This first episode of Synaxas discusses the Lectionary passages for Proper 11 (A): Genesis 28:10-19a; Romans 8:12-15 and Matthew 13:24-30, 36-43.